Spot Opportunities (Commercial Blog): Philips LED in the counters! Philips LED in the counters! 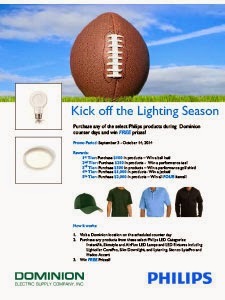 Kick off the Lighting Season! 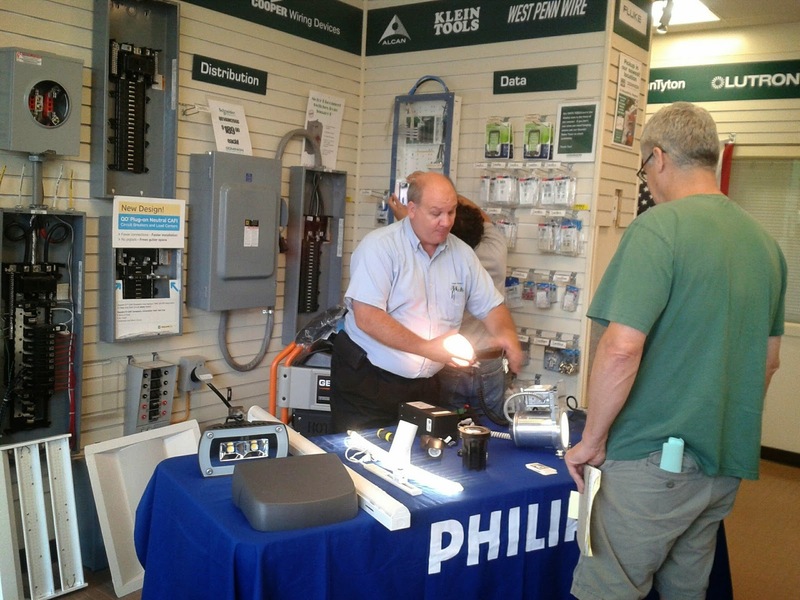 Purchase any of the select Philips products during Dominion counter days and win FREE prizes! 1st Tier: Purchase $100 in products – Win a ball hat! 2nd Tier: Purchase $250 in products - Win a performance tee! 3rd Tier: Purchase $500 in products – Win a performance golf shirt! 4th Tier: Purchase $1,000 in products- Win a jacket! 5th Tier: Purchase $2,000 in products – Win all FOUR items!! September 9 | Chantilly, Virginia | 7:30 - 11:00 a.m.
September 11 | Gaithersburg, Maryland | 8:00 - 11:00 a.m.
September 17 | Baltimore, Maryland | 7:00 - 10:00 a.m.
September 23 | Leesburg, Virginia | 8:00 a.m. - 1:00 p.m.
September 25 | Manassas, Virginia | 7:00 - 10:00 a.m.
October 2 | Alexandria, Virginia | 7:00 - 10:00 a.m.
October 7 | Washington, DC | 7:00 - 11:00 a.m.
October 14 | Laurel, Maryland | 7:00 - 10:00 a.m.
For more details, visit our website! September Steals on Kidde !